On March 2, 2016, Africa Faith & Justice Network (AFJN) co-sponsored and participated in the Ghana Integrated Platform for Governance of Land, Water and Seed as part of the launch of the West Africa Caravan on the Struggle for these resources. Representatives from Ghana, Niger, Nigeria, Togo, Benin, Ivory Coast, Mauritania, Gambia, Guinea Bissau, Sierra Léone and Guinea Conakry participated in the Caravan’s activities in towns in either Burkina Faso, Mali or Senegal. All participants converged in Dakar, Senegal, on March 19th where they submitted an advocacy briefing and policy booklet to authorities. This Caravan brings attention to the imperative necessity for Africa to protect and responsibly manage their land, water and seed. While Africa’s population is increasing every day, the land has not and will not. Unfortunately, on a continent where an estimated 70-80% of food comes from small farm holders, the threat to take over land, water and seed by foreign and national agribusinesses, governments, the elite class and speculative investors has worsened. Those complicit are the World Bank, the International Monetary Fund, the industrialized countries and local governments in Africa. Obviously these entities and sovereign nations understand the current and future economic opportunities and the national security implications in feeding the world’s growing population, and they are rushing to Africa to lease land for very little cost for decades at a time. Land grab is not triggered by food production only, but also by the growing need to transition from fossil fuel to renewable energy. 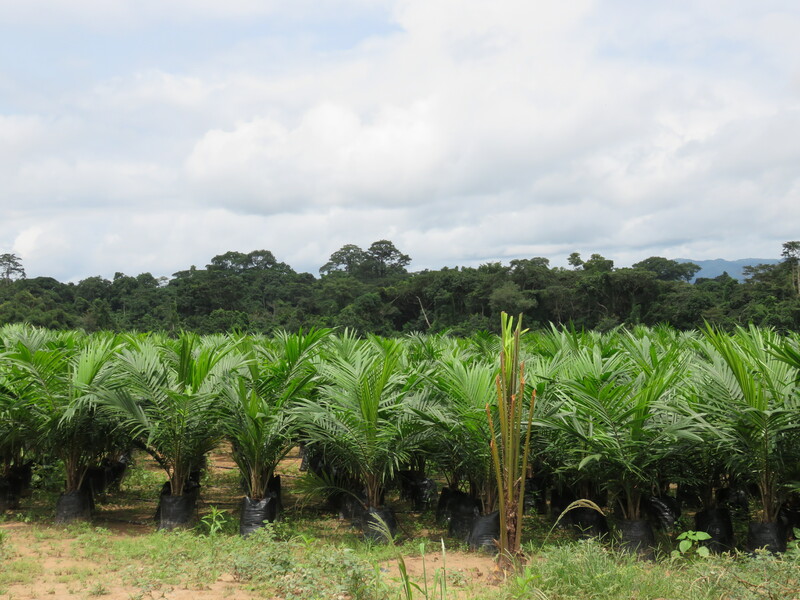 For this reason, Africa’s land has become attractive for growing plants for biofuel production. He provides two examples. First, the incident of the toxic waste in Abidja in Ivory Coast in 2006 involving “A Greek-owned tanker (the Probo Koala) registered in Panama, chartered by a Dutch company run by two Frenchmen operating from London and employing a Russian crew” which dumped chemical waste throughout the city, causing deaths and leaving many more poisoned. Second, the example of the Nigerian citizen from a town called Koko who for monthly payments of $100 agreed to the dumping of 8,000 barrels of hazardous waste originating from Italy on his farm. The leaked toxic waste caused chemical burns and deaths. Italy was forced to repatriate the waste for proper disposal. With this evidence, what mechanism do we have in place to prevent people leasing land, foreign and nationals, from dumping toxic waste in full secrecy and then abandoning the land? After all, these investors do not live on the land they lease. The struggle for access to water in context of the rapidly growing cases of land grabbing for large scale agribusiness, as well as the obvious steady increase in the planet’s population, is a very serious existential problem which needs an immediate long-term action plan. According to the Action Group on Erosion, Technology and Concentration, industrial agricultures uses 70% of overall water used for agriculture while the remaining 30% is used by small farm holders. Industrial farming’s water need is proportionate to the size of the land it accounts for, which is 70- 80% of all arable land. With large scale agribusinesses comes large scale water source pollution which in many cases leaves communities helpless. These same communities lack the income to afford bottled water. Thus, it is important that the African public claims its right to their water supply. Genetically modifying African indigenous seeds must be carefully examined so as to understand the cost-benefit relationship of this effort to Africa’s agriculture sector. There is a strong argument that those seeking to invest in the business of genetically modifying African indigenous seeds want a monopoly of these seeds, thus controlling this multibillion dollar economic sector. Tragically, the takeover of what once were community-owned seeds poses very serious food security and seed sovereignty threats with devastating economic and national security consequences. In other words, genetically modifying African seed which leads to the eradication of the communal ownership of the indigenous seeds and transfers it to a few rich individuals and a few corporations threatens national security, food security and prosperity of affected nations. In regards to the issue of land grabbing, we are advocating first and foremost for the protection of the interests of the small farm holders who are the uncontested supplier of Africa’s food supply chain. Based on evidence regarding the growing toxic trade business, and in the context of land grabbing, we must protect our environment – particularly our land and water sources from being poisoned. Consequently, to ensure the health of our people we recommend that every land lease include a robust prohibition of hazardous material burial or incineration and dumping in the open on leased land. We suggest that any given land lease include at least a comprehensive restrictions on the use of internationally prohibited fertilizers. The U.S. Environmental Protection Agency has a long list of banned and severely restricted pesticides. On the list of pollutants to be banned is Cyanide, often used in mining. African farmers must reject any policy pushing to genetically modify African indigenous seeds. This is not a solution to hunger, as they argue, but an economic strategy by a few to place Africa’s farmers in an irreversible cycle of dependence. Such policies will force farmers to buy genetically modified seeds and associated fertilizers every planting season. It is in the interest of the African farmers and consumers to ensure the control of Africa’s vast agricultural economy.